Looking for some Cary High Spirit Wear? Purchase your All-Sports Passes Online! 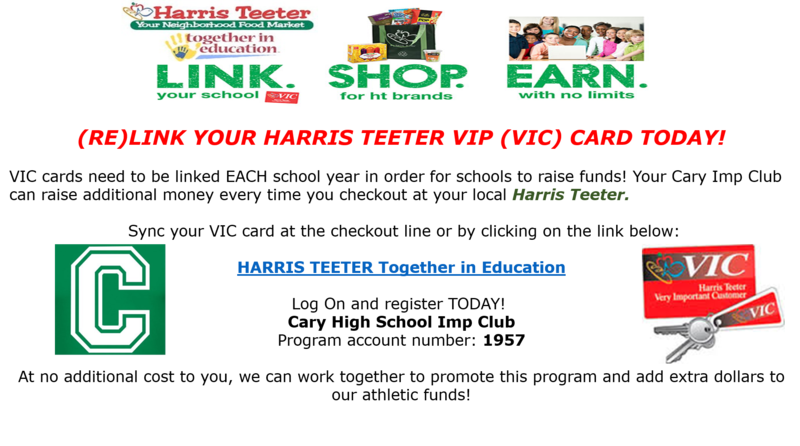 Link Your VIC Card Today and Earn All Season Long! 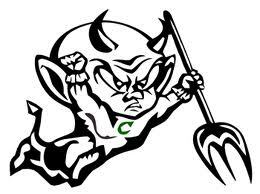 Cary IMP Club Needs Your Help To Support the CHS Student Athletes! High School Sports is more than just a fun part of the High School experience. Studies have shown that High School Sports develops a “Well Rounded Adult.” Athletics teaches teamwork, cooperation, and builds confidence. Wake County provides less than $900 total yearly for all our student-athletes, for ALL of our 35 Varsity and JV teams. The IMP Club needs your help to support the fundraising efforts - training is provided. Get INVOLVED - come to the next Club meeting to see how YOU can help - it's FUN! Show your school spirit and get your Cary High Spirit Wear today! We have a variety of sweatshirts available ranging from $25-$50 as well as t-shirts and performance long sleeves from $5-30. For some items, there are limited sizes available, so don’t delay on purchasing your spirit gear. If you are interested in volunteering to help sell Spirit Wear, please contact our IMP Club Spirit Wear Chair, . We thank you for your continued support of the Cary IMPS and the IMP Booster Club! Click on the following link for a printable version of the 2019 Spring Sports Schedules. 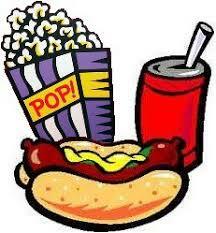 The Imp Club is looking for volunteers in the concession stand in the coming weeks. Please use the link below to sign-up and help us sell concessions. You must be at least 16 years old to work in the concession stand. for FALL, WINTER AND SPRING SPORTS! to Home Games at Cary High! Purchase your sports pass on-line and pick up at Open House tonight (8/22) or come to this weeks 1st home Varsity Football Game (8/24). Or purchase in-person at either event. BASKETBALL, WRESTLING, GYMNASTICS, Lacrosse, Soccer, Baseball, Softball, Tennis, and Track Events for the entire school year! All Sports Passes also have an added advantage! 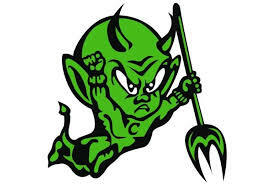 If you are a parent of an IMP Athlete, your All Sports Pass purchase provides you with a voting membership in the Cary IMP Club, a nonprofit organizatin whose sole purpose is to provide fundraising activities and financial support for the Cary High Athletic Department. For more information about this program please contact .